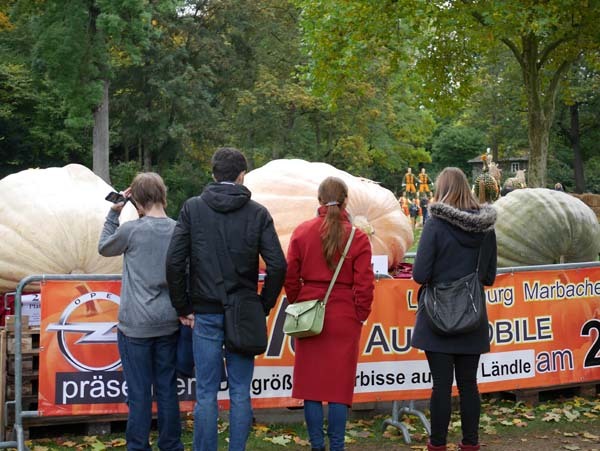 Happy Bellyfish got a chance to visit the world’s biggest pumpkin festival in Germany – here are our impressions in a short photo essay! 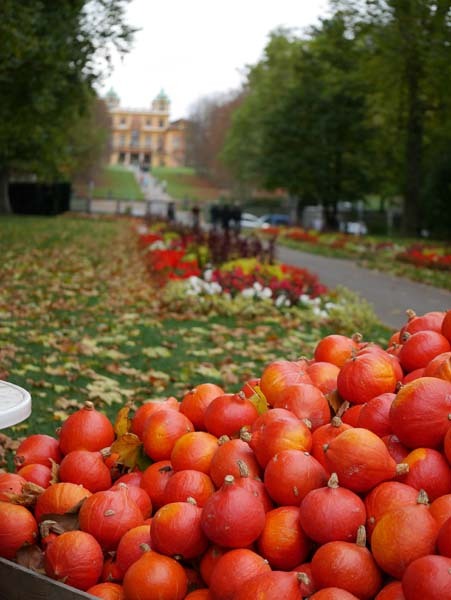 Pumpkin needs no extra introduction: everyone is familiar with this giant berry, that takes a prominent place not only on our plates. 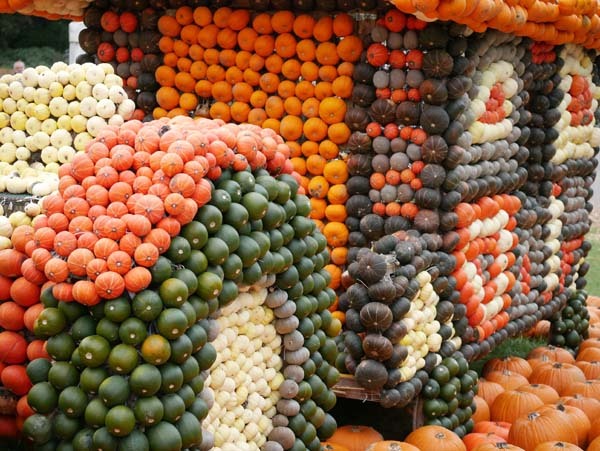 Even if where you grew up pumpkin wasn’t a staple during the autumn months, you probably still remember an image of Cinderella’s carriage, a giant pumpkin turned a into a golden vehicle, just on time for the ball. 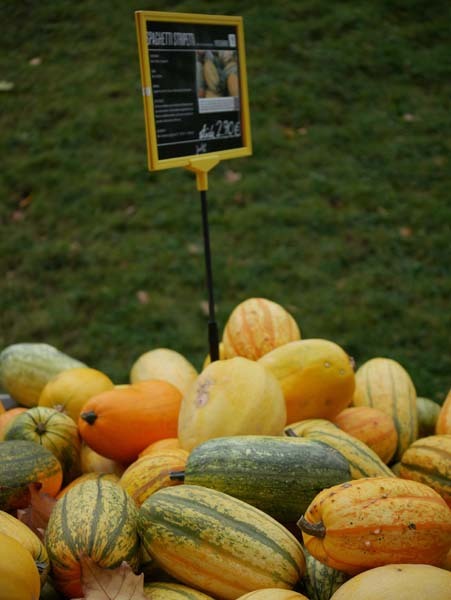 Truly, it is difficult to find a berry, which has more applications than a squash! 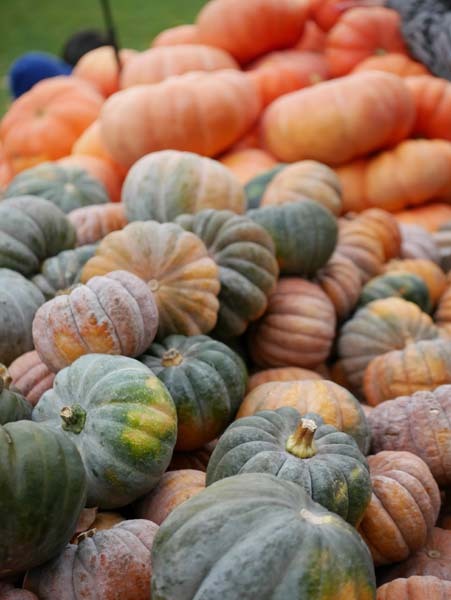 There are numerous pumpkin recipes, turning it into soups, pies and even curries. 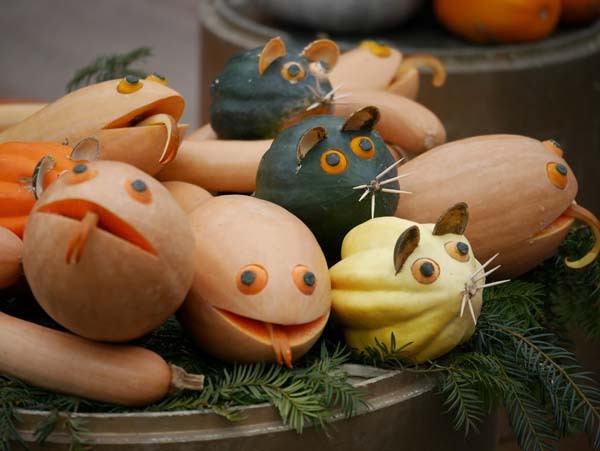 It is a world-famous decorative item, and a central piece of Halloween celebration. 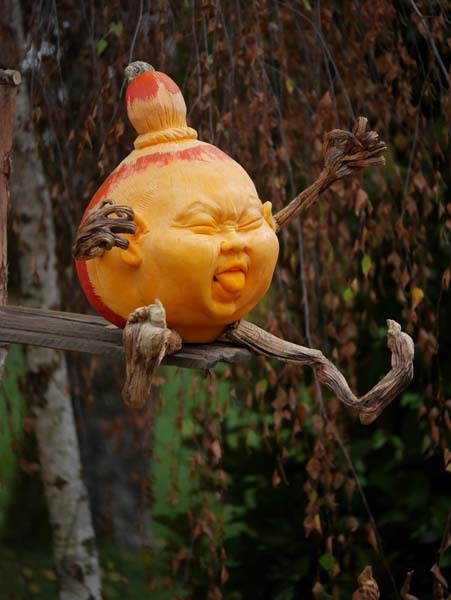 Carving masters can turn a pumpkin into a masterpiece! 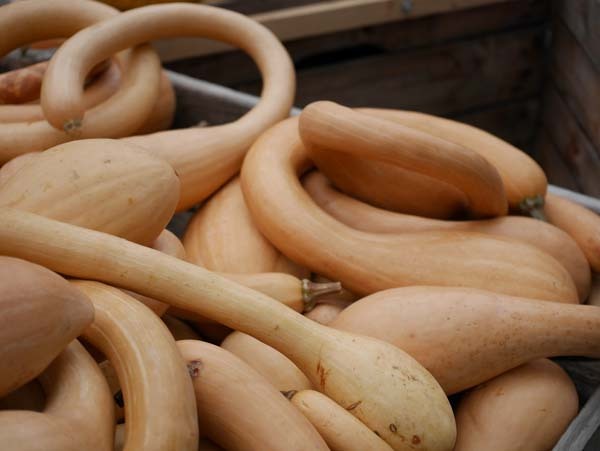 In some countries, dried squash is used as vessels and even as musical instruments. 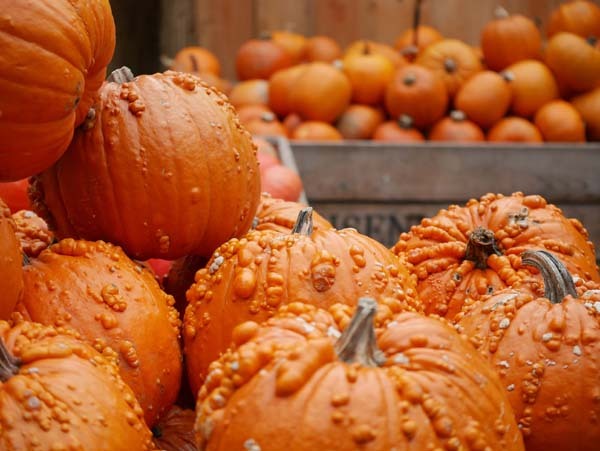 No wonder, that pumpkin has become such a celebrated berry, with numerous festivals held around the world. 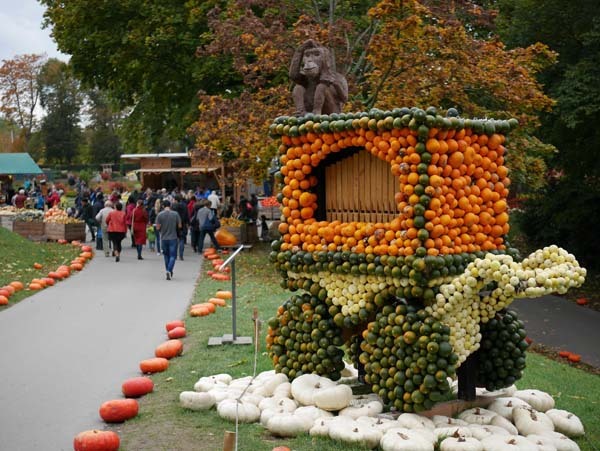 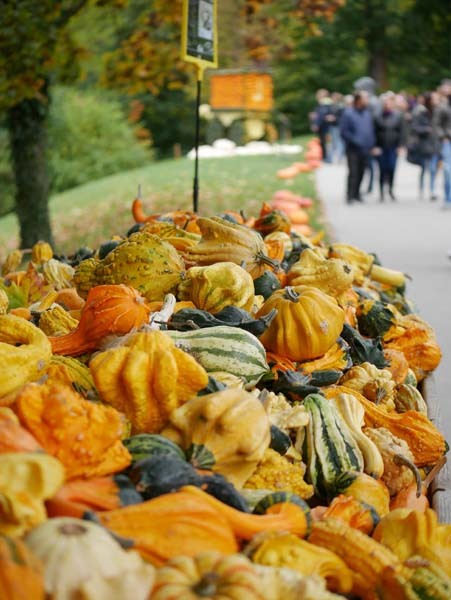 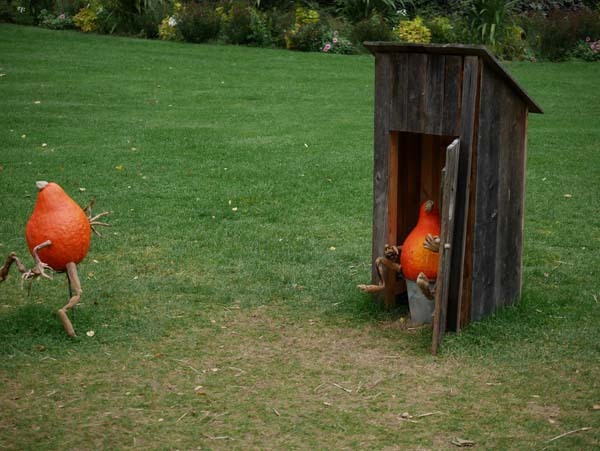 The biggest pumpkin festival in the world is held in Germany, in a small town of Ludwigsburg near Stuttgart. 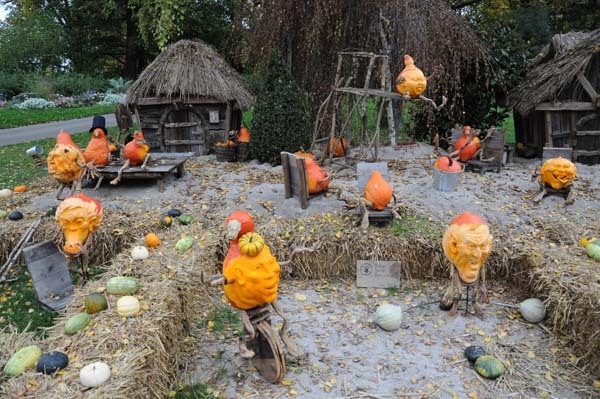 The event is set in a beautiful Blühendes Barock Garden of the Palace. 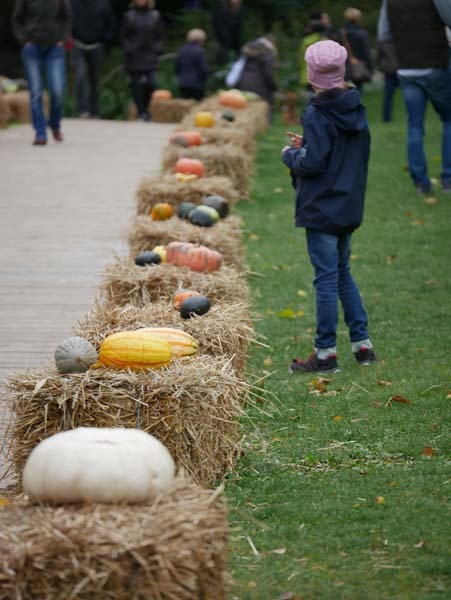 The grounds are covered with the countless types of pumpkins of all shapes, colors, sizes and flavours. 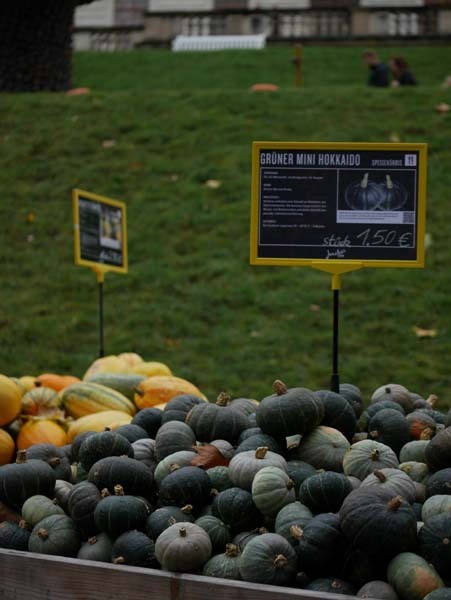 Almost all are available for sale – but one should be careful, as not all of them are edible! 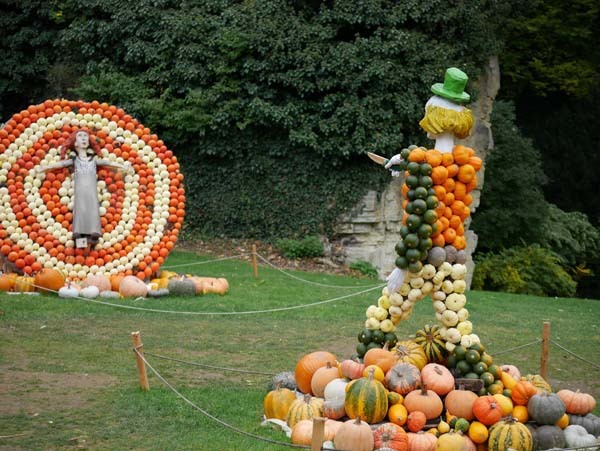 A big part of the festival is dedicated to the pumpkin art – you won’t believe what kind of figures can be made fro these oh so familiar berries! 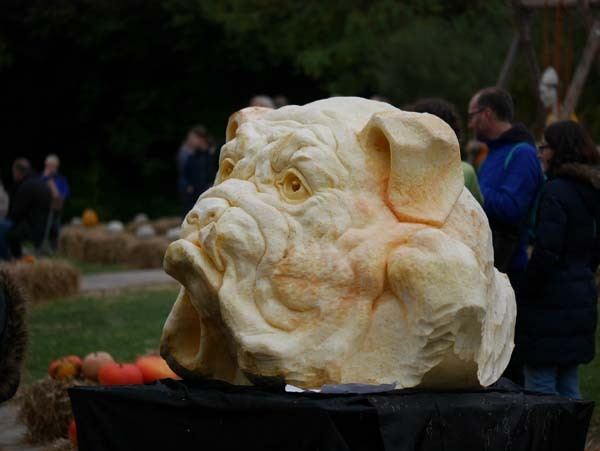 This year’s theme was largely dedicated to circus. 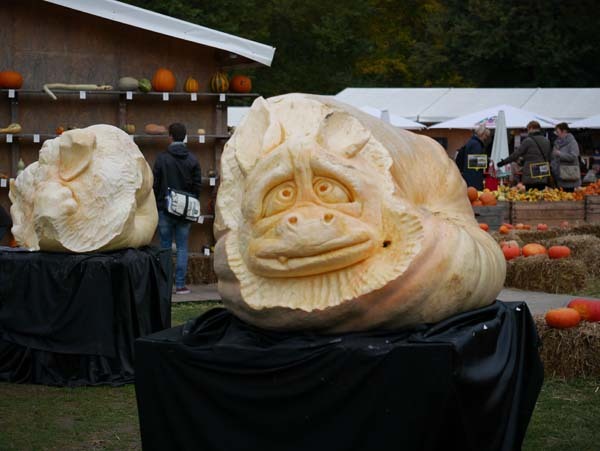 One of the highlights of the festival is pumpkin carvings – it is unbelievable what can a real artist do with it, giving a pumpkin such a real shape and faces expressions, that it almost looks alive! 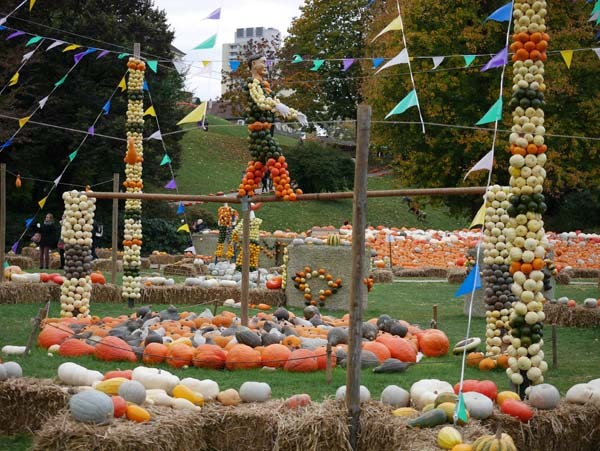 On the last day of the festival everyone is invited to smash the pumpkins, which have been displayed during the event – a pleasure not worth missing! 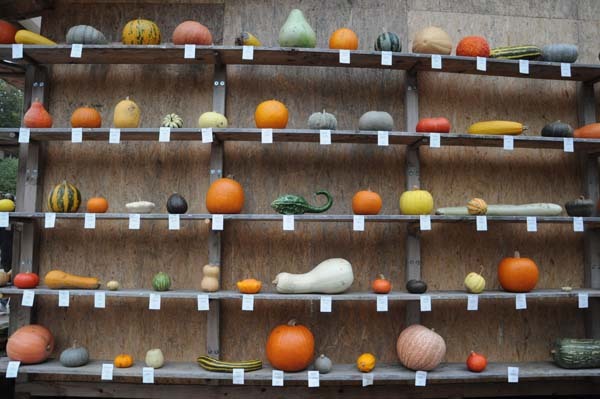 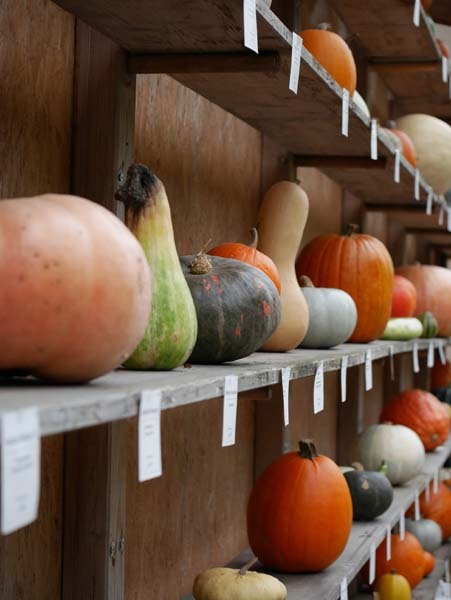 How many types of pumpkins can you name?